Today i’m going to attract your attention by introducing three most useful products for your Apple devices. These are MICROSIM ADAPTER; MICROSIM CUTTER and ﻿PROFESSIONAL MICROSIM CUTTER. To have a deeper understanding of the subject lets firstly discuss what micro-SIM serves for. Developed by the European Telecommunications Standards Institute micro-SIM is adjustable with very small devices, where mini-SIM card is ﻿feeble. The micro-SIM was designed with the compatibility of previous version. It retains the same contact area of the chip and is compatible with larger SIM reader, through the use of plastic cutout surrounds. It runs on the same speed (5 MHz) and includes the same size and positions of pins as well. MicroSIM also known as 3FF — The «Third Form Factor» SIM, is smaller than the «normal» SIM and without surrounding plastic. It’s actual size is 12mm x 15mm and contact area of this third generation SIM Card is the same as of standard SIM. This kind of Micro-SIMs will be in use in shortest time for mobile phones as well as for other devices and notable is the fact that Apple will be the first among them. In detail iPhone 4 and iPad are their first representatives. MICROSIM adapter is a simple mechanical solution bringing the microSIM card back to the standard card size (15 * 25 mm). It is made of durable plastic, in Germany, has rounded corners -making the insertion into the device easier. And can be used in both iPad /iPhone 4 as well as any other mobile device. You can use MicroSIM Card in standard SIM slot devices (size 15x25mm) with MICROSIM adapter. It works on every mobile phone and with 3ff SIM cards of all vendors. 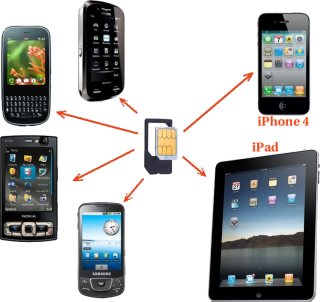 But in case you have data plan/service with any mobile-carrier, is it on your cell-phone or with a usb-modem, you are likely to have a 2G-Slot and you will be unable to use the SIM card in your iPad. Herewith, if you have an iPad with the new Micro-SIM - you will be unable to use the MicroSIM in your older iPhone. There was plenty of tutorials how to cut usual SIM card to micro-SIM size with sharp knife or scissors. And it was especially popular among just released iPad 3G and iPhone 4 users. But we can offer something more safe and comfortable then knife or scissors. 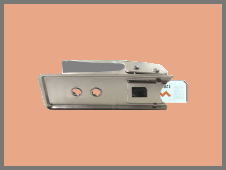 This is a steel microsim cutter allows you to cut your standard sim card to microsim card size. You don’t need to measure your sim card, mark cut-lines on the card, use scissors or a knife to cut the card and high risk of breaking your sim is avoidable. You just need to insert the sim card into the microsim cutter, and then press the handle. 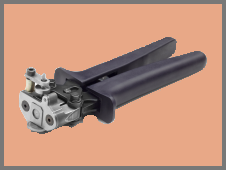 ﻿It is patented high quality hand-made cutter, in a small series and will not operate if the 2ff SIM-card is not positioned correctly. It cuts the SIM exactly +/- 1/100 mm and is suitable for use in the warehouses and labs of network operators.